 Agents and Group Leaders are very important partners for Young Learner English UK members. A good relationship between schools, agents and group leaders is vital to a successful experience for students and parents during their stay in the UK. Good agents promote UK partner schools’ programmes in their marketing in a professional manner. They provide accurate information and impartial advice and guidance to students and parents to help them make the right decisions about which programmes best suit their needs. Agents often assist with the appointment of suitable group leaders, and with travel plans such as ticket reservations, visa applications and local transport. Helping agents to find specific programmes for their clients and quality school partners to work with. Providing overseas workshops – our first overseas workshop took place in April 2011. We worked with British Council China and organised a successful roadshow to promote Young Learner summer programmes in the UK. It was attended by 16 English UK member schools and nearly 200 agents in 3 major cities. We are planning more overseas workshops in other countries in the coming years. Setting up Inward Missions – these give agents opportunities to gain direct experience of English language education, particularly for young learners in the UK. Trips are free once agents have travelled to the UK and include visits to language centres and locations, workshops and networking. We have run a special Inward Mission at the end of July during the last two years. This has been designed for agents to visit and familiarise themselves with the summer centres in the UK and has proved to be extremely popular. If you are interested in the next YLEUK July Inward Mission, please contact us – yleuk@englishuk.com. Providing updates on the latest developments in our sector, including new government rules and regulations, as well as new courses and special offers for our members. If you are interested in receiving our news updates, please contact us.